If you haven’t looked at your Knowledge Panel in a while, or don’t even know what a Knowledge Panel IS – this is the post for you. 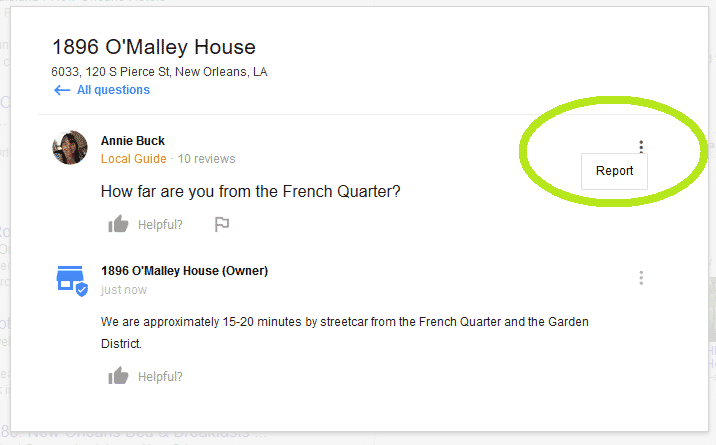 Google has added a feature to the knowledge panel – it’s a “Questions & Answers” section, in which people can post questions about your business. The answer field is open to anyone, which makes it important that you are checking to make sure you answer those questions correctly, as the business owner. Scroll down until you see the section marked “Questions & Answers“. 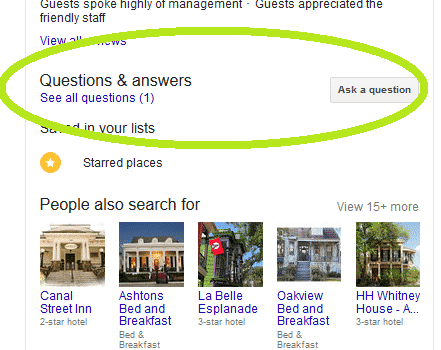 Click that button to open the questions box – type your answer, then click POST. And that’s all you have to do. 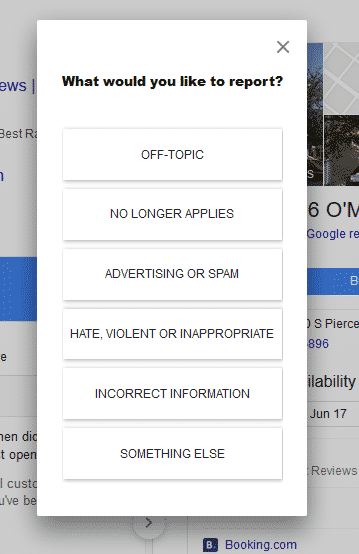 Google will usually take the question down during their investigation, and and may or may not take it down permanently. 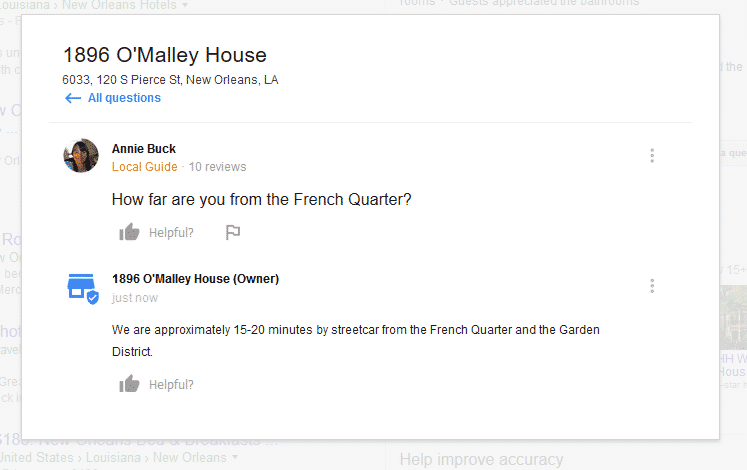 Take a couple of minutes and check your Knowledge Panel for questions that your customers may be asking you! 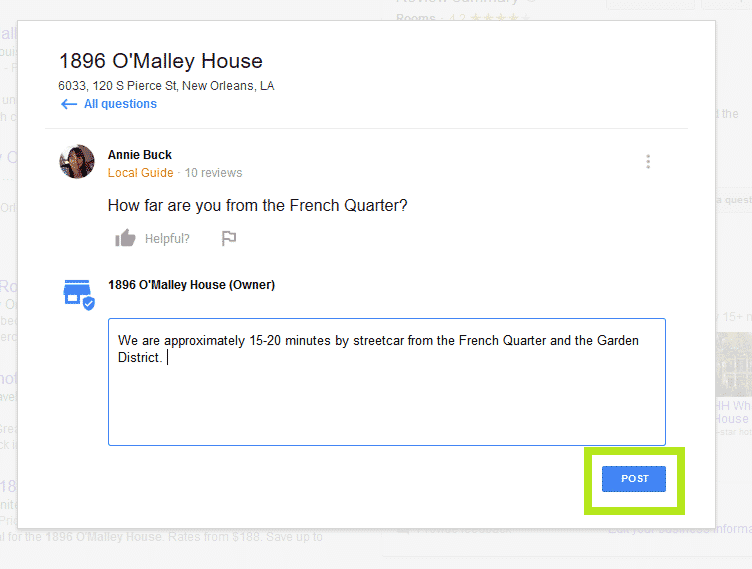 Hi Debbie, according to Google, this is the way you can receieve notifications on the Q&A feature – when logged into Google, use this link : https://business.google.com/settings – scroll to the part that says, “Questions and answers – Alerts about questions and answers posted to your business on Google”, and make sure the box to the right of that is clicked. Of course, you have to make sure you’re checking the email you use to log into Google, as that is where the notifications are supposed to be going.